After the success of her star turn in La belle Hélène in 2002, Susan will return to her beloved Santa Fe Opera in another Offenbach role debut. For the first time in 34 years, the company is mounting a new production of The Grand Duchess of Gerolstein, which opens on June 28 for ten performances through August 24. The mezzo, who has been awarded the French government’s “Chevalier de la Légion d’honneur” for her achievements in French repertoire, will undertake the title role. Heading a strong supporting cast, American tenor Paul Appleby – a Metropolitan Opera National Council Auditions winner – will play the object of her affections, in a love triangle completed by soprano Anya Matanovic. Lee Blakely will direct, with another noted French repertory specialist, Maestro Emmanuel Villaume, on the podium. Check out more details about the production here. 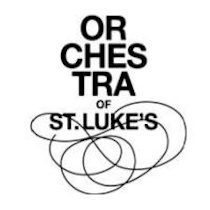 The Orchestra of St. Luke’s (OSL) held its annual Gift of Music gala at The Plaza on May 6, to benefit OSL’s concerts and Community & Education programs, as well as the DiMenna Center for Classical Music. OSL honored Susan, who is also an OSL board member, and the Andrew W. Mellon Foundation’s President Emeritus Don M. Randel. David Hyde Pierce hosted the evening at The Plaza’s Grand Ballroom. Principal Conductor Pablo Heras-Casado led the orchestra in works by Mozart, Fauré, and Rameau, with soloists Ying Fang and Paul Appleby. 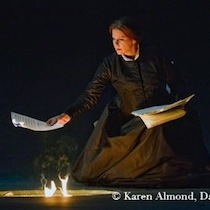 This week, Susan made her long awaited debut with the Dallas Opera in Dominick Argento’s The Aspern Papers. According to the Washington Post, the mezzo sings “ravishingly” in Dallas Opera’s welcome revival. 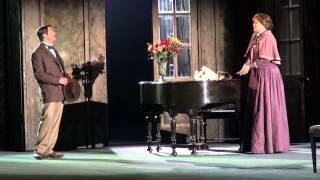 As Tina, the role first created by Frederica von Stade, Susan is “at the top of her form and the reigning Queen of Mezzoland” (Theater Jones). Pegasus News confirms: “There aren’t enough words to describe how monumental her performance is.” Co-starring baritone Nathan Gunn and soprano Alexandra Deshorties, the new production by Tim Albery – which celebrates the opera’s 25th anniversary – runs through April 18. For more information about the production, click here. April marks Susan’s first operatic engagement of 2013, when she heads to the Dallas Opera to make her eagerly anticipated house debut in The Aspern Papers. An adaptation of the Henry James novella by Pulitzer Prize-winning American composer Dominick Argento (b.1927), the opera was an original Dallas Opera commission. Its 1988 world premiere impressed the Los Angeles Times as “pretty irresistible,” while the New York Times – dubbing Argento “a melodic athlete” – praised “the kind of set piece rare in opera today.” The Dallas Opera’s new production by Tim Albery, celebrating the 25th anniversary of this opening run, stars Susan in her role debut as Tina (the part originally created by Frederica von Stade). Susan’s co-stars include Beverly Sills Artist Nathan Gunn, Joseph Kaiser, and Alexandra Deshorties. The Dallas Opera’s music director Graeme Jenkins, now in the 20th and final season of his tenure, conducts (April 12-28).